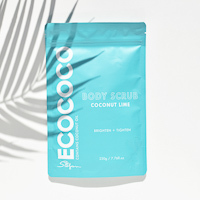 The ECOCOCO Body Scrub range contains the highest quality of natural and Certified Organic ingredients, including ECOCOCO’s signature ingredient – Certified Organic Coconut Oil. The tropical lime fragrance of the Coconut Lime Salt Scrub will transport you to an island paradise for a deep and detoxifying cleanse. 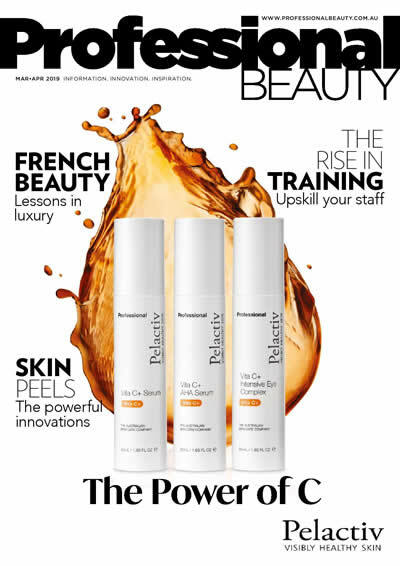 Revitalise and replenish your skin’s natural oils, aid in preventing breakouts and brighten your complexion all whist targeting stretch marks, cellulite and dry skin, and reducing fine lines and sun damage. Made with natural and organic ingredients such as; Sea Salt to provide and intense exfoliation, removing dead skin cells, Certified Organic Coconut Oil to hydrate and nourish, while Lime is ideal for brightening and tightening your skin. To use, apply a handful of Coconut Lime Salt Scrub evenly all over your body. Massage in a circular motion for the best results. Exfoliate 2-3 times a week. Also available in Guava, Lavender, Vanilla, Charcoal & Peppermint, and The SPA Edition. Sizes: 220g (retail) 1L (professional). Formulated and made in Australia, ECOCOCO strives to deliver innovative products that empower women to look and feel their best in a healthy and natural way. ECOCOCO believe 100% Certified Organic Coconut Oil is the key to a healthy and functional daily beauty and hair regime. This miracle ingredient is included in all unique ECOCOCO formulations. As well as Certified Organic Coconut Oil, ECOCOCO uses a wide range of organic botanicals and mineral salts for the powerful healing and anti-ageing skin benefits. They also utilise beautiful essential oils and offer a range of relaxing professional body treatments that draw on wellness philosophies from all over the world.